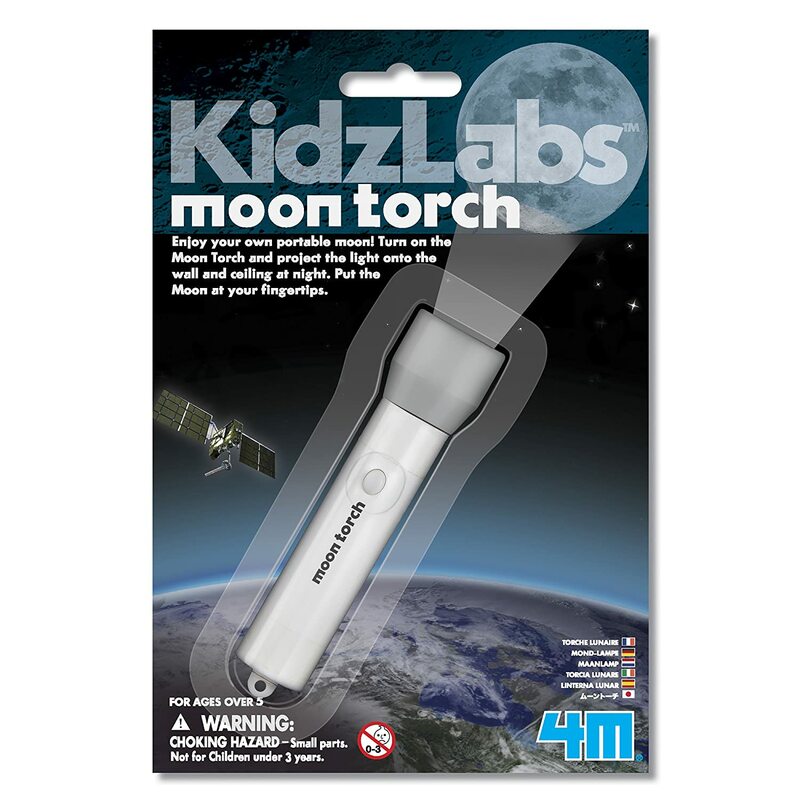 Turn on and point the torch at walls and ceilings at night or in dark rooms to see the moon. Power the torch with 3 AG13 button batteries included with the torch. All of the parts are made of safe, high quality materials. This set is recommended for ages 5 years and up.